Far too often, we tend to think of anger as emotion that we shouldn’t have. But anger is simply an emotion. It’s what you do with that anger than can become something that it shouldn’t be. 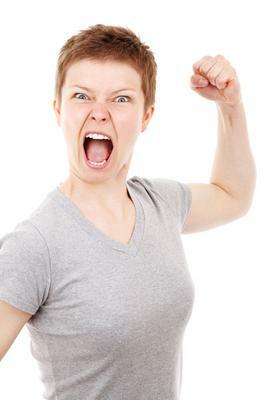 If you get angry and lash out physically at someone, that’s the kind of anger that’s harmful. But normal, non-violent anger is a tool that everyone has that can help their life to be better. For example, if there’s injustice in your life, anger toward the situation will often motivate you to make changes to put a stop to the injustice. It can help be a motivating factor that can benefit your life. However, if you struggle with anger and you know that it’s a problem, then mindfulness can help you to deal with the issues that trigger the anger. For everyone that experiences anger, there are emotional or physical triggers. When you’ve worked hard all day only to find that the tasks you asked your kids or spouse to handle were blown off, that can be a trigger to cause anger. It’s hard to work all day and then have to come home and take care of more responsibilities. You can stop anger by focusing on what you’re feeling in reaction to that trigger. Normally, your stomach will tighten and you’ll tense up all over. To release these physical symptoms, practice mindful breathing. Breathe in and out slowly with deep breaths for the count of five. Picture the breath entering and leaving your body. Delve into the thoughts that are fueling your anger. Most of the thoughts that drive anger center around things like you feel you’re being taken advantage of or you get tired of thinking no one is listening and you’re having to deal with the same issues over and over again. Use mindfulness to examine these thoughts non-judgmentally and one by one, release these thoughts. Pay attention to how the anger is affecting you physically. This mindfulness can help you see how the anger is hurting you. The anger will calm as you focus on the breathing and letting the thoughts of why you’re angry clear away. Once you’re no longer as angry as you were when your emotions were first triggered, use a mindful means of talking to the other person about what you feel. Make sure that you keep in mind the other person’s feelings. What they did, didn’t do, said or didn’t say may have been completely unintentional. Discuss the situation calmly and be on the lookout for communication means that add to the anger. Some of these are things like thinking negatively about the other person while you’re talking to them or assuming that they know exactly why you’re angry and just don’t care. Mindfulness can help you to not place the blame on anyone when you’re communicating. Anger is an emotion that belongs to the person it rises up within. No one has the power to make you feel anger if you don’t want to and mindfulness can help you to control it within yourself.